My next stop - Kama Ayurveda (First Floor, Quest Mall, Kolkata). 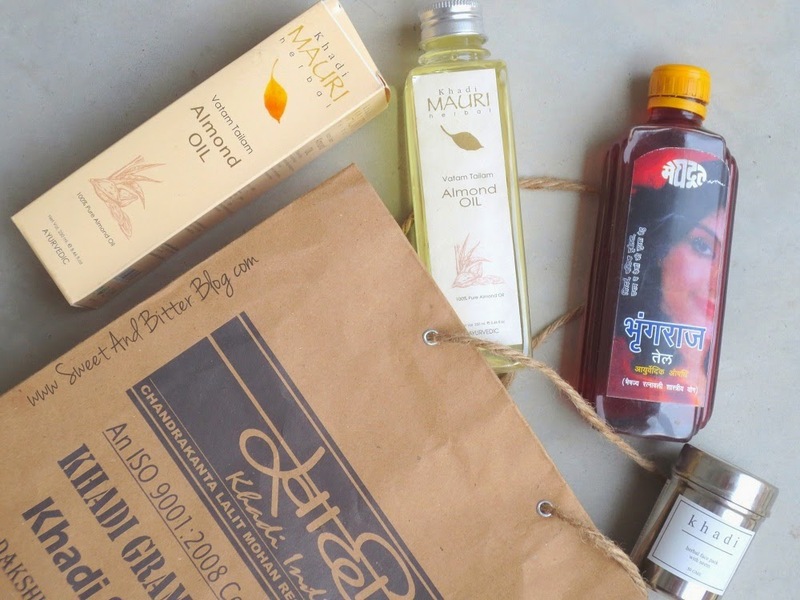 As I had already purchased the Almond Oil, I picked the Sesame Oil (organic, cold pressed) from here. I also picked up Nalpamaradi Thailam (which I think is the poor girl's Kumkumadi Thailam but more on that when I review it. I have very interesting thoughts about this fellow. LOL) I tried the Almond lip balm at the store but said no to myself because I already have too many lip balms to finish. But, it smells so yummy that I went back to the store again to pick it up. Nothing haunts more than things you didn't buy! And I went to the store last Friday to get the orange essential oil. I tried few others and left the store. A little bit of basil essential oil touched my index finger. 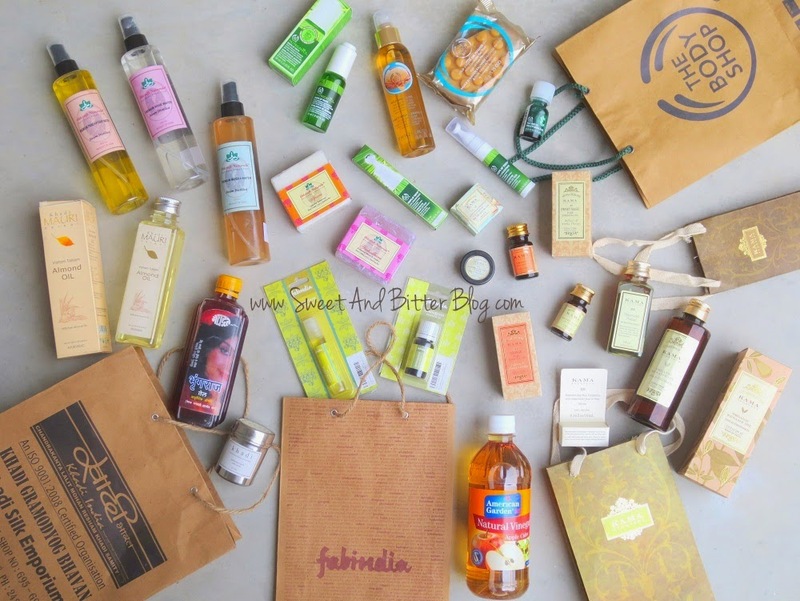 The mild and natural smell of basil consumed me and I could not even shop at the other stores! I had to go back to pick the Sweet Basil Essential Oil as well. I complained the store's manager - "I must stop trying things at your store. I always have to come back in an hour to buy it - not good for pocket"
He laughed and replied - "We are going to increase a lot of products next year. Now we have around 150 SKU, and it will increase to more than 250." Me - Jaw. Meet floor. Floor. Jaw. FabIndia - Ylang Ylang Perfume Oil and Lemongrass Essential Oil. 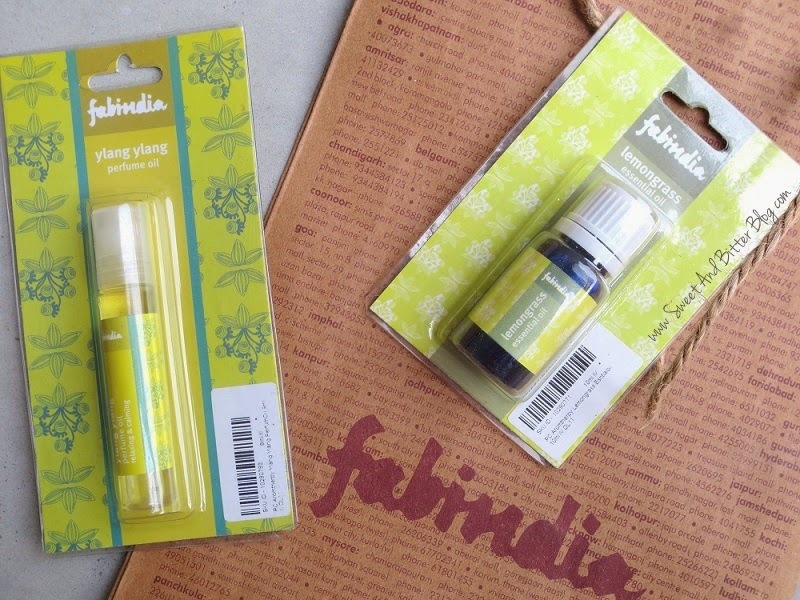 Picked just two things from FabIndia - Ylang Ylang Perfume Oil and Lemongrass Essential Oil. 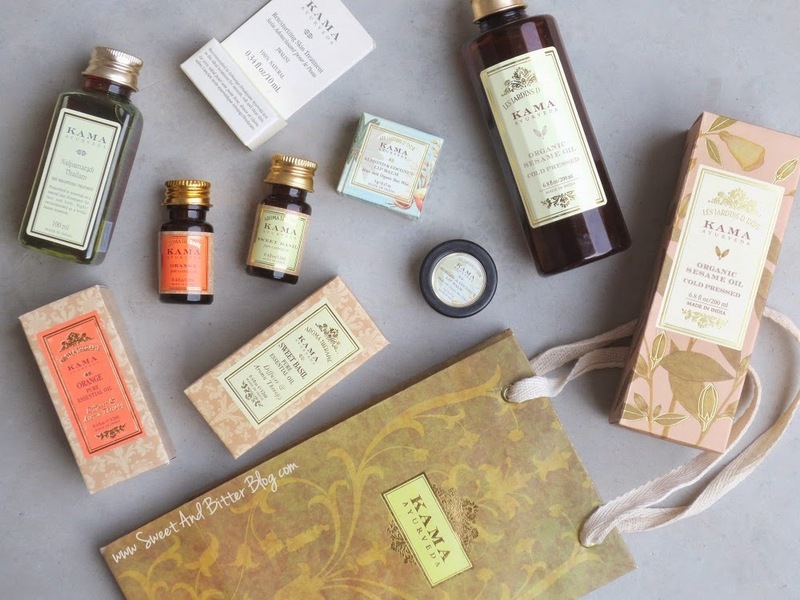 One of the sweetest readers of this blog - Sanghati - who emailed me her opinions after most of my blog post / Instagram update (Thank You XOXO), read the review of Kama Rose Water and informed me about this brand - Oilcraft. 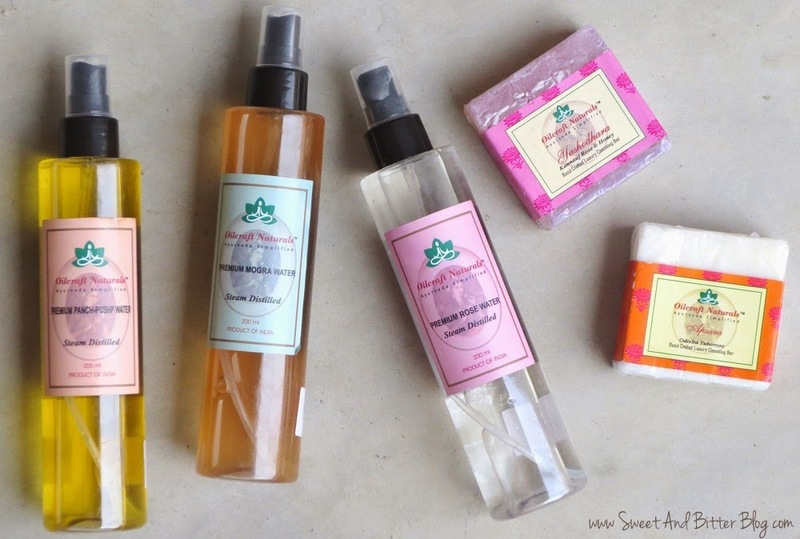 Oilcraft manufactures steam distilled rose water using roses from Kannauj, just like Kama Ayurveda but priced at the almost half at Rs 400 for 200ml. My Kama rose water was over, and I had to try this. I got overexcited and ordered all these from Jabong.com (They delivered five packages separately in 3 days!). 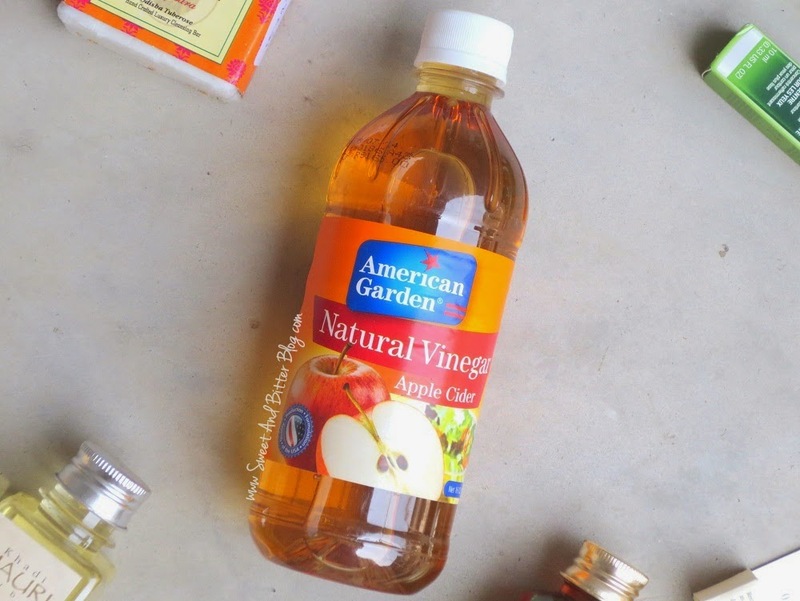 Apple Cider Vinger is the best after hair wash rinse. I love how it works for my scalp and hair. This is my second bottle. Please let me know your thoughts and let me know if you need to know about anything. Any review that you wish to see first? Please comment below. 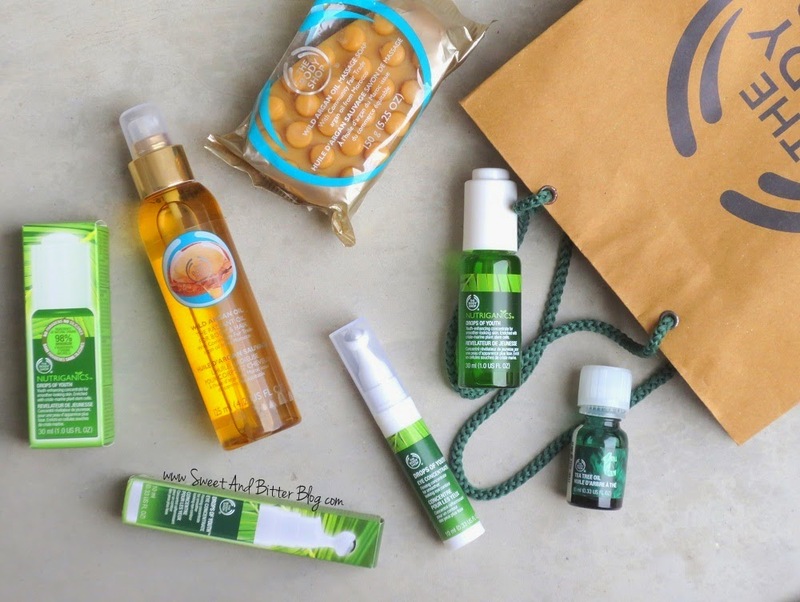 PS - Products marked with an asterisk are press samples.